Here I am rambling about semi-retirement and what do I have for you the very next day? News about a knitterly project, obviously. 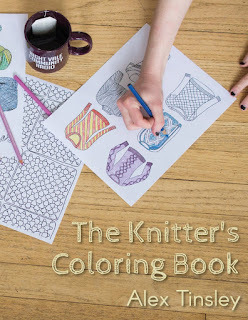 I recently teamed up with Cooperative Press to hop on the coloring book bandwagon a little! I've had this draft, empty-but-titled, open in my browser for six months at this point, and of course the moment I feel like working on it is "ten minutes before I have to go into work." A few weeks ago, I hit 30. I was dreading it, and spent a lot of 29 feeling old and washed-up and horrid.... but weirdly I feel like it came with a bit of peace and clarity. I'm actually feeling better about myself and my path in life than I have in quite some time. I feel like I've got a grip on my goals, my relationships- even my damn wardrobe seems to be coming into its own. The last two years of my life have been all kinds of weird and transitional. 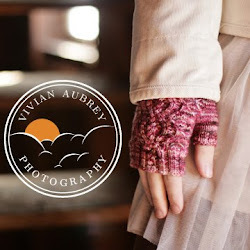 As you might've noticed, I haven't been publishing many patterns lately. To be quite frank... 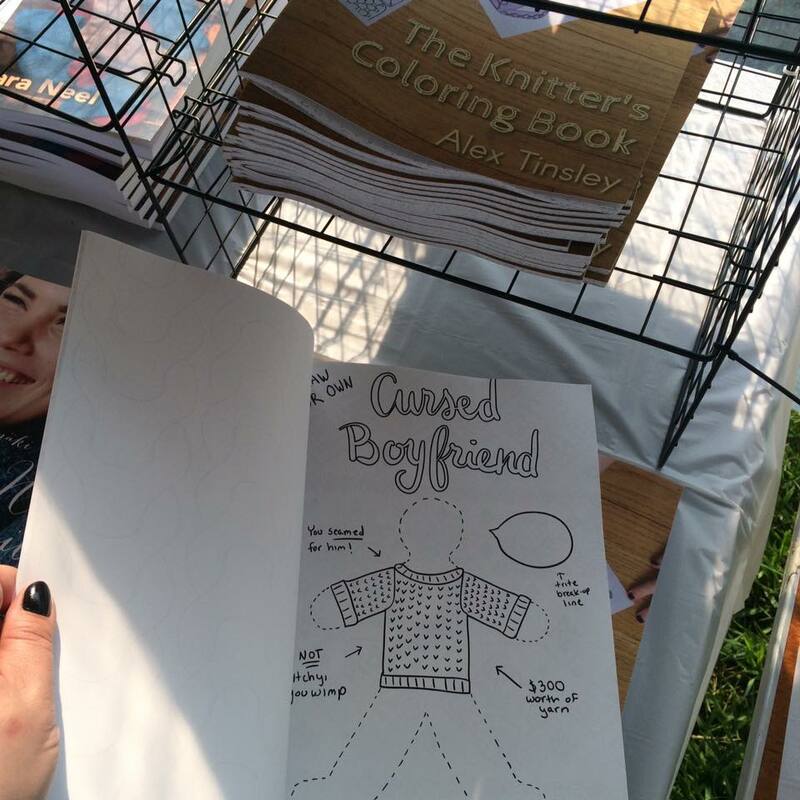 I'm moving away from knitting design. As mentioned above, I now have a work that I "go into" - a part time job at a new yarn store in Ann Arbor. Those of you who follow me on Instagram are likely aware of my new business venture. And most recently, I've started training to become a UI Designer... something I hope to mix with a healthy dose of illustration and surface design to make myself a nice little portable career that'll both allow me to be creative and, one hopes, financially solvent. The reasons for this are two-fold. First, as you may have heard other designers complain, the pattern sales climate just ain't what it used to be. I'm not sure why this is - it seems, at least from working in the shop, that people are knitting just as much as ever. Maybe we've reached a critical mass of designers, or of patterns? 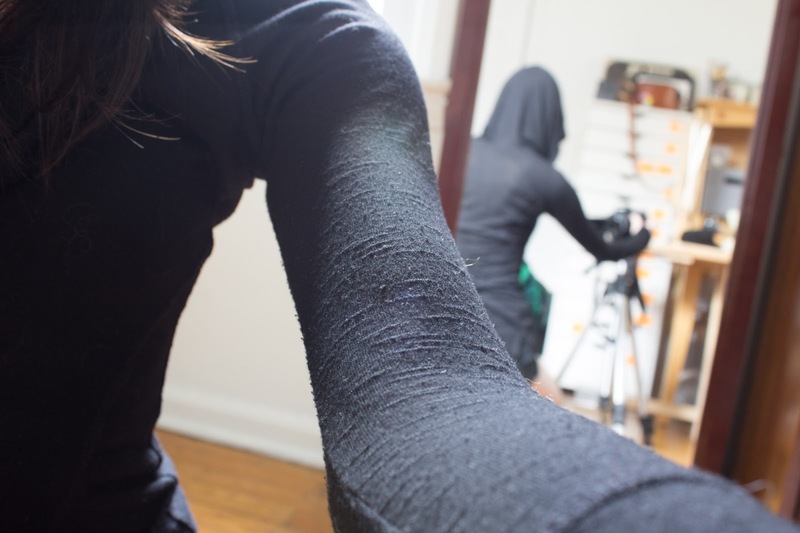 Perhaps free patterns have finally outpaced the paid ones? Can't tell ya - all I know is that almost every designer I've talked to has reported pretty much the same thing - decreased overall sales, bigger seasonal slumps, less of a sales bump with new releases. Some of the biggest names I know are groping around for other income streams at this point, and well, frankly, it seems smart to start planning an escape. The second reason? Honestly, I'm just a bit burnt out. When you make something you love into your job, it can eventually start seeping some of the joy from it. I've been writing patterns for almost ten years at this point, and while I still love knitting, it's been nice to take the pressure off and actually knit *for fun* a little, lately. Thanks to working at Spun, I've been knitting shop samples both from my own existing patterns and from other people's, and it's been soooo nice. I don't see myself quitting knitting anytime soon, and I'll probably still knock off a pattern here and there, but allowing it to be a hobby instead of my primary income has been such a relief. I know there are people in my life (mostly those who I'm not very close to and who have no idea what it is I even *did* in the first place) who see my going back to a day job as an admission of defeat or failure. "Aw, poor girl, her cute little craft business didn't work out." 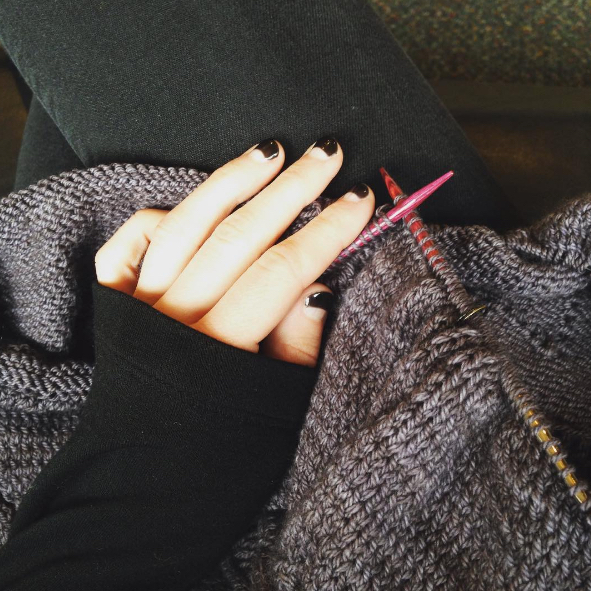 I'll admit that rankles me a little - truth is, the knitting community has been very good to me and with my childless, low-cost-of-living life, I was just fine for quite awhile. But I've never felt comfortable unless I'm building towards something new and exciting..... recently I've turned down a smattering of perfectly good and potentially lucrative opportunities in order to make space for the things that excite me *now*. Saying "no" to things is nerve-wracking, and change is slightly terrifying in general... but I find if you stick with it long enough, you get used to the discomfort. In any case- I'll keep this blog on life support as a depository for my musings and fibery projects. I'm excited to have some freedom to work more on weaving and other fiber arts, as well as non-pattern knits. More frequently, these days, you can keep up with me on Instagram (and sometimes still Twitter too.) Which I very much hope you will - I love the community I've met through knitting, and I owe you all a huge amount of gratitude for your support and camaraderie- thank you, thank you. Keep in touch, eh? 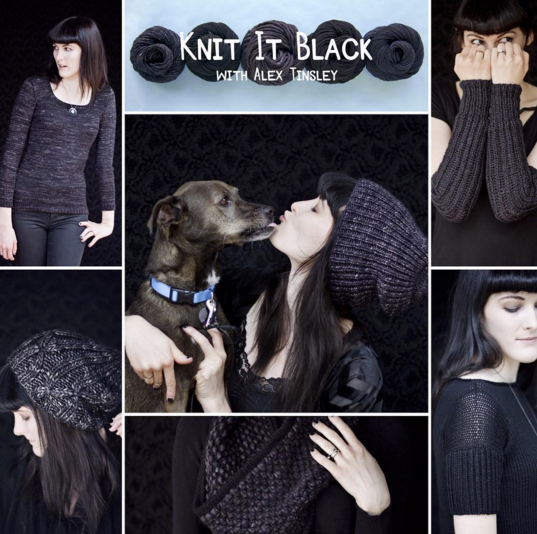 Knit it Black Kits at Kitterly! I'm hella jazzed to announce that Kitterly is now providing kits for the Knit It Black patterns! A portion of every sale will go to Little Black Dog Rescue :-) And don't worry- if you're all about the black dogs but like your knits a bit, er, paler... there are a few color options, hehe. 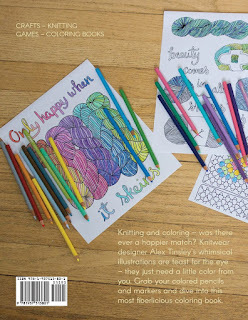 New Pattern and Malabrigo Sale! Two orders of business: First a hat! Meet Regina. My attentions have been split and my output slow, lately- something I've had a blog post semi-drafted about for awhile now, but I'm being slow about that too. 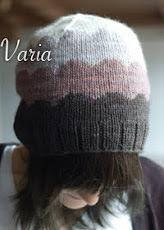 But I'm darn pleased with this hat - it's a little more delicate than my usual fare, knit with cables and eyelets in gorgeous Crave Yarn Filigree, in a color called Coffee Savant (which I knew I had to have the moment I saw it on her website. So pretty.) If you're not familiar with Crave, you gotta check 'em out - the yarns are beautiful and the owner, Amor, is a delight (she was the one who dyed up those special Black Dog skeins for my Kickstarter! Another yarn in my "to design with" pile.) Anyway- you can find Regina on Ravelry as per usual! Secondly! Malabrigo March is coming up! 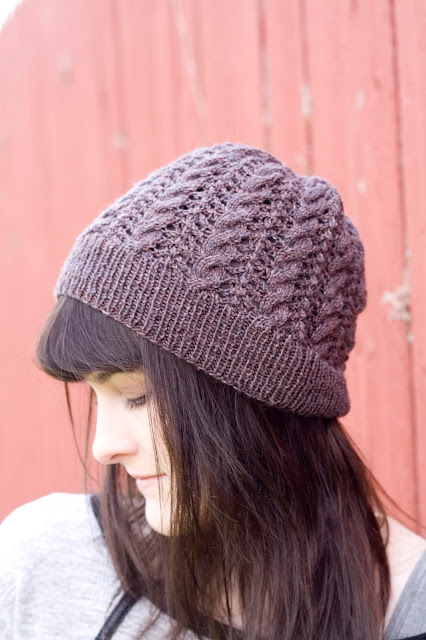 Which means my Malabrigo patterns (that's like, a lot of them) are on sale. Details here!